2. Any competitor who registers to take part in the BAS or who takes part in any race meeting that is part of the BAS and any club or league that undertakes to run an event as part of the BAS shall recognise the authority of The company in respect of all matters covered by these rules and any other matter directly or indirectly affecting the BAS, its promotion, perpetuation and correct procedures. 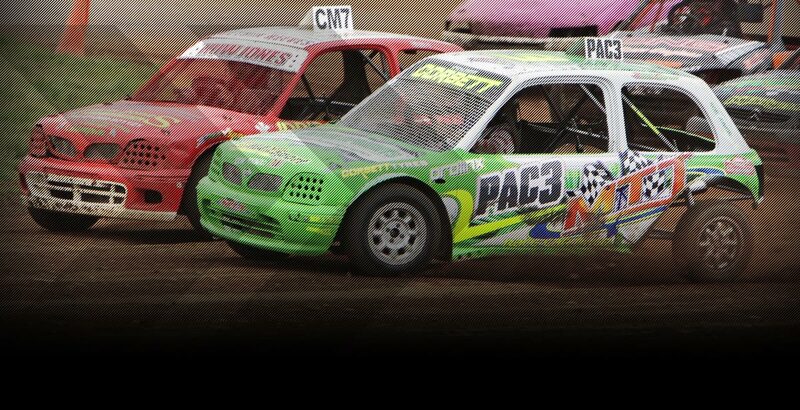 Competitors and clubs/leagues and officials should be aware that the terms “BAS” and “British Autograss Series” should only be used in a context that does not bring the BAS into disrepute or cause damage to the events in any way. If in doubt, permission for use of the terms mentioned above should be sought from The Company. The terms “BAS” and “British Autograss Series” may not be used in any commercial manner without the permission of The Company. 3. The company acknowledges that the National Autograss Sport Association Ltd (NASA) has full authority in respect of all matters of discipline relating to the sport of Autograss. In addition, the Company has powers to deduct points, impose bans from events and exclude competitors from the BAS altogether in the event of breaches of BAS and/or NASA rules. The company also reserves the right to stop a driver from participating at any BAS round for a given period. Any BAS disciplinary action will be notified in writing within seven days of the decision. 4. Any disciplinary action can be the subject of appeal, with the exception of Rule 13. The driver will have 48 hours to confirm their intent to appeal with a brief outline of their case, 7 days to submit their written appeal in detail, 14 days for the appeal to be finalised. All dates are from the date of the notice being served. The appeal will be heard by a panel of three, comprising two members of The company and a Drivers' Rep. The appeal panel shall have the power to overturn the original decision or reduce the penalty, but also can uphold the decision and increase the penalty. The decision of the panel shall be final regarding all matters relevant to the BAS. Appeals must be in writing to Simon Bentley, 20 Hungerford, Craven Arms, Shropshire, SY7 8HG. 5. Only the results of the heats and finals as recorded by the organising clubs/leagues at each event shall be used to calculate the championship points for the BAS. Enquires about championship points should be made to the Points Co-ordinator Jodie Bentley ideally via email to points@basautograss.co.uk or alternatively via telephone on 01584 841558 no later than 7 days after the event at which they were awarded. Any driver who fails to sign-on by the end of day one to race on day two of a BAS meeting may miss the third qualifying heat. All non-BAS registered competitors must be signed on by close of signing on Saturday to race at any time over the weekend. BAS registered competitors may be able to sign on later at the discretion of the meeting Chairman and the BAS officials. 6. The championship will be run and points awarded for Mens classes One to Ten, Ladies Classes One to Ten and Juniors (Saloons and Specials). 7. Only competitors who have completed the registration form and paid the registration fee in full (in advance of racing) will be eligible to score championship points. A driver can only be awarded points for a race number that is registered in the BAS to him/her and only if driving a car bearing that number. If a registered car is driven by a non-registered driver at anytime during an event no points will be awarded for any race during that round. A driver cannot score points for another driver or number in the BAS, notwithstanding that he/she may be registered in the BAS under their own number. A driver cannot score points for themselves or their number unless the car they drive bears that number. The best sixteen races from the five rounds of the BAS count towards the class championship. Any tie for first place for the class championship will be decided in favour of the competitor who has the highest score in any single event; if that does not resolve the tie, the second highest score will be counted, and so on, until the tie is broken. A competitor's best total score for one round will be doubled. Any round where three heats and a final have not been completed cannot be used as a double score. 8. Points will be awarded in Heats and Finals as below. At any event if more than 48 cars are signed on in a class the top 16 cars after the three rounds of qualifying will compete in two semi-finals with the first 4 cars in each going to the final. No points will be gained in the semi-finals. In the event that a meeting cannot run for three heats and a final, for whatever reason, priority will be given to running three heats only. If this is not possible an effort will be made to run two heats and a final. No semi-finals will be run at a curtailed meeting. If different classes have an unequal number of heats at a meeting no points from that meeting will count towards any overall Championships for any class. In the event of an event being abandoned before two sets of heats have been completed, those classes which have completed two heats will receive championship points as above. The event will be considered null and void for all other classes and, for those classes only; the number of races in the championship shall be reduced by four (i.e. a sixteen race championship with twelve races to count). In the event of this happening the overall championship shall also be contested over one round less. If a reduced number of cars come to the line in any class, to the extent that at least one less race could be run in that class, the organisers reserve the right to manually amend any pre-drawn race and grid permutations. 9. The registration fee will be £25.00 per competitor. 10. Trophies will be supplied by The company and awarded as follows: Eight or more registered competitors in the class – trophies 1st to 4th; five to seven registered – trophies 1st to 3rd; three to four registered – trophies 1st and 2nd; up to two registered – 1st place trophy only. The above applies to Juniors and all Mens and Ladies Classes. There are additional trophies for the Mens and Ladies highest overall points score (all rounds counted but no scores will be doubled up). There will also be a Young Guns Championship for drivers who are under the age of 21 on the 1st January of the year of the Series (all rounds counted but no scores will be doubled up). 11. Registered championship contenders must display the British Autograss Series championship decals on each side of their car at all BAS events. 12. The host club is responsible for the running of each event, which shall be done in compliance with all NASA rules, but also in a format and manner agreed with The Company. The host club is responsible for providing trophies and awards for their round of the BAS. 13. The decision of the Chief Track Marshal is final with regards to any racing incidents. Any such decision will be made within 15 minutes of the race finishing. No consultation will be entered into after this time. Drivers are not permitted to view any video evidence being used by officials. 14 .By entering and registering for the BAS, a competitor agrees to be subject to an engine strip and full examination of their car if deemed appropriate by The Company. The manner & location of examination is at the discretion of The Company, but all relevant NASA rules will be complied with. If an irregularity is found the car and all drivers will be excluded from the current year's BAS and all points up to the date of examination will be forfeited. 15. If a registered driver's car is found to be illegal by any means other than the above procedure, the registered driver will be excluded from the current year's BAS and all points will be forfeited. 16. If a car is deemed illegal by the NASA board of Directors at a NASA authorized meeting at any time during the season all BAS registered drivers of the car may lose all BAS points gained prior to the date of the infringement. 17. Where any class has an engine capacity limit, provision must be made for engine sealing by the Company. This is in addition to any sealing requirements from other parties. Any seals put on by the Company may only be removed with the express permission of one of the Company directors. Breach of this will result in disciplinary action. 18. There is no closing date for registrations. However for points from a round to count for the season, a registration must be received at least seven days prior to the round taking place. 19. Drivers can register for no more than two classes each. 20. The company reserves the right to amend any rules as necessary.